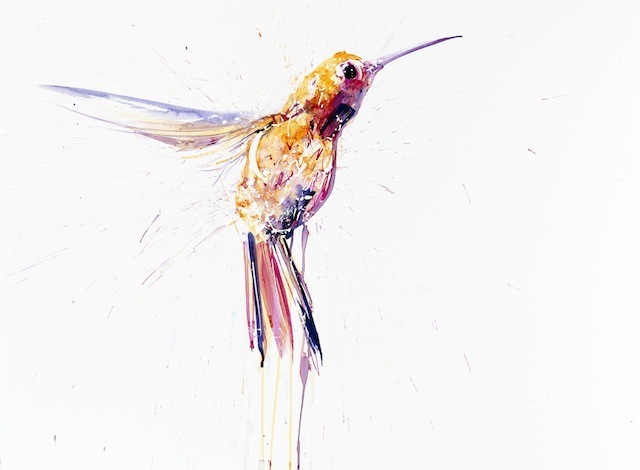 Dave White's animal paintings are now on show, details below. FILM: Two films screen at the Institute of Contemporary Arts tonight, as part of the BFI Film Festival. Firstly, moving Laotian film The Rocket, and then a documentary film about a teenage typist who became a close witness to the triumphs and trials of The Beatles, with Good Ol' Freda. An exhibition of drawings by our four-legged friends will be in place at The Gallery on the Corner on Battersea Park Road, from this Saturday 12 October. Drawings By Dogs will display doggy doodles from a variety of breeds, including residents and ex-residents of Battersea Dogs & Cats Home. If you feel you have a budding Monet on the end of your lead, then you are invited to bring your dog to the gallery to make their very own piece of art. £20 per drawing (all proceeds towards Battersea Dogs & Cats Home), just turn up, until 20 October. Your previous two clues were ARCHWAY and HATTON CROSS. Several people already spotted the connection, so no need to write in, but if you're still pondering, today's clue is HAMPSTEAD. Have you heard of the Denmark Street Fire? We wrote about it on this day last year, as part of our London's Forgotten Disasters series. A teasing sun plays hide and seek behind the clouds. He's really rubbish at it though, because he glows so brightly and even an infant could spot where he's hiding. The sun is even worse at seeking, however. I once hid in a recycling bin for three days before the council lifted the lid, allowing the sun to finally spot me. I stank, having subsisted off the scrapings from discarded baked bean tins. But at least I could bask in the smug, self-satisfied knowledge that I'd outwitted our nearest star.